Yes. The JIVE² bassinet is separate to the seat unit. 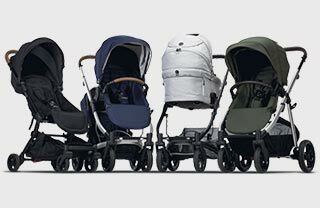 The bassinet and seat come on their own independent frames, with their own canopies, fabrics and materials. Do you sell a double or tandem pram?